POSH Wee Loops for those Mums and girls who like their jewellery just a wee bit dainty! This 25mm diameter pendant is lusciously thick and is available in sterling silver, 14k yellow or 14k white gold. Personalise it for someone special (i.e. yourself!) 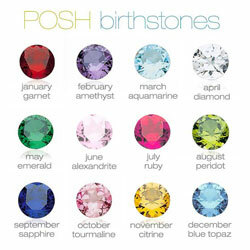 with up to 3 names and add some crystal bling with imitation birthstones if you wish! A short message is able to be engraved on the back as an optional extra. Your stunning POSH Mother Pendant not only comes gift-boxed, but with it's own polishing cloth to keep it looking gorgeous! 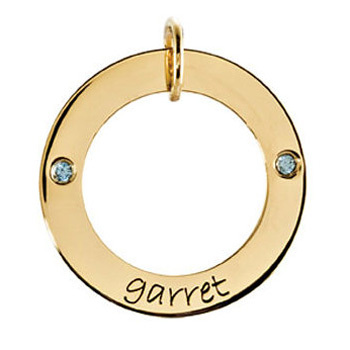 -Displayed cost is for a solid 14kt gold pendant with 2 birthstones (chains and additional birthstones are extra).